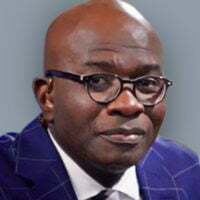 Armstrong Williams is a columnist for The Daily Signal and host of "The Armstrong Williams Show," a nationally syndicated TV program. The nation of Israel once again witnessed horrific rocket attacks on innocent men, women, and children living near the Gaza Strip. The terrorist organization Hamas launched over 500 rockets targeting civilian territories, resulting in one Israeli death and wounding 70 others. Unsurprisingly, these attacks were not against military targets; rather, the rockets were indiscriminately fired into populated civilian territories within Israel, destroying homes, businesses, and restaurants, and terrorizing thousands of unsuspecting people. Israelis are no strangers to unprovoked attacks on their land. They have seen this all too many times before. The more things change, the more they stay the same. 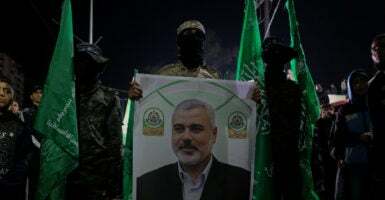 Now Hamas will retreat into the shadows and anti-Israel detractors will criticize Israel for taking strong action to defend itself and its citizens. A cease-fire between Hamas and Israel, mediated by Egypt, appears to be holding for the moment. In essence, it is a return to an agreement reached in 2014, which the Palestinians periodically violate, prompting Israeli military action. The Israeli people deserve a chance to live normal lives, free from terrorist assaults and the destruction and misery that such attacks bring. Terrorist groups including Hamas are all too eager to deny them the right to peaceful existence, let alone recognize their very existence’s legitimacy. Why are Israelis held to such a double standard by the international community and complicit media? Any other country that routinely faced attacks and threats from hostile forces would be given understanding. Yet according to the enablers of terrorist organizations such as Hamas, Israel should turn a blind eye to the plight of its people being bombarded with hundreds of rockets in the middle of the night. That double standard is morphing into a single standard at this point. Groups of rogue troublemakers are allowed to plan and commit acts of aggressive violence, while Israel is required to ignore the flashing neon warning signs and carry on as if all is fine. This is beyond the realm of reasonable expectations. Enough is enough. Since declaring its independence in 1948 and bringing about the rebirth of a Jewish state in its ancient homeland, Israel has dedicated itself to pursuing peace. During this past summer, I was given the opportunity to travel to Sheba Medical Center in Ramat Gan, Israel. This hospital is the largest, most comprehensive medical center in the Middle East and also serves as an advanced research center with some of the brightest minds in medicine working to develop life-saving medical innovations. I saw firsthand how the Israeli people are dedicated to progress and peaceful living—and not just for the people of Israel. Heads of Sheba Medical Center explained to me how it is their sacred mission to provide world-class care to anyone who arrives in this city of peace in need of medical attention, regardless of origin or religion. The point of the matter is this: The Israeli people are some of the most generous, gifted, and peaceful people that I have ever had the pleasure of meeting and spending time among. They share dreams and aspirations of living normal lives. Despite these rather modest expectations, they are unfortunately the recipients of tragic and senseless attacks from hateful terrorist organizations steeped in dangerous ideology. America has had a long-standing history of friendship and partnership with Israel. Israel works closely with the American intelligence community and is a strategic asset for America. It is an oasis of stability in a volatile region. The United States has an obligation to defend our interests by standing shoulder to shoulder with our closest ally. Until bloodthirsty Palestinian terrorist organizations permanently cease their attacks on innocent Israeli civilians, Israel will be obligated to utilize its talented army to defend the state. Flare-ups of violence emanating from Gaza derail progress toward the peace and reconciliation that Israelis so earnestly seek. Imagine a world in which the Israeli people were not forced to take defensive or preventative military action against those infected with blind hatred. I pray that, at some point, peace will truly descent on Israel and its holy capital city of Jerusalem, but until then, Israel is righteous in taking the necessary steps to fight terrorism and defend its people.